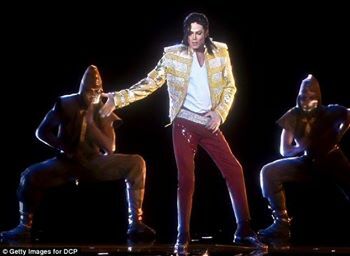 When the rest of the world mourned the passing on of a creative legend and a master of the moon walk dance Michael Jackson. Little did we know that his death was inspiring a king of Comedy in Zimbabwe.It all narrated to the start of his comedy life and today he reaps the fruits. The death of the King of pop inspired how he selected his stage name and as we remember the works of the king of pop we emulate our king of comic. Apparently he had always had comedy on his mind, even though he only became serious about it some four years ago when he did his first performance on November 25 in 2010. “My first interaction with African stand up comedy is what got me taking myself seriously”. I have been a graphic designer and cartoonist. I have been always an artist but the difference is that am now taking everything on stage. Who is Simba the Comic King? Born Simbarashe Kakora in Harare and partly raised in Bulawayo. I did my Primary school partly in Bulawayo before finishing off in Harare and going to Allan Wilson and Ellis Robins High school. My parents were always moving due to work and I believe it also contributed to me be like this always seeing new people with different characters and attitudes I guess. Let’s talk about your love for comedy where did it all start? I have been always an artist starting as a graphic designer and cartoonist for the teenage part of a local newspaper and now simple translating it on stage. The thing that motivated my love for comedy was watching South African comedians and will wonder if this guy can do it what will I fail, I have been involved with public speaking and that also contributed as my speeches were filled with humor and people would always laugh whenever I gave a performance I felt encouraged and lastly the death of Michael Jackson I became an M.J impersonator and I realized I can do it. What inspires you and who influences your career? I have been privileged of watching lots of comedy and have followed works by Edgar Longeveltd, Michael Kudakwashe, Loyiso Golo, Jimmy Carr and Davie Shapelle. Watching all this have inspired the way I do comedy. Tell us about Zim Comedy live? It was a show created by Joe Njagu in a collaboration with me. The idea came after the realization that comedy wasn’t exposed to the people while we have been performing for some time now. It is an idea to take comedy to the next level after identifying the need to take stand up comedy out of the bars and theatre and straight to a mass audience. The concept has an MC who hosts the show and three comedians we always try to spice it up and bring one or two surprise guests. We have even featured a bit boxer in our show Pro beats. Do comedians have beef against each other? (Laughs) People always try to make it look like that but in actual fact we have a good working relationship. We work together well. Our working environment brings results at the end of it all. We always invite each other for shows, we are a united family of comedians. 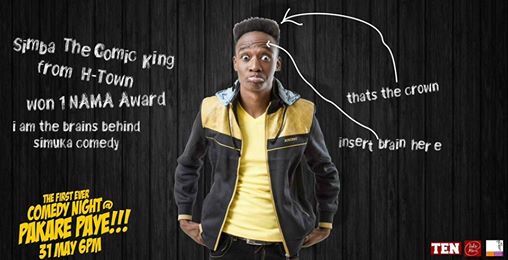 Tell us about Simuka comedy night? It all started in June 2011 an idea that we came up with Doc Vikela we took it to the then Mannehburg and that’s how we started having shows. From then on it became a monthly event and this year the event turns 3 years. The show has been growing and we have been having more comedians every month. Am always busy when I have shows scheduled, besides that I always work on workshops the idea of workshops gave birth to more comedians. I usually work and write jokes at night that’s when am more creative. What has been your best work so far? That one is always a difficult question as you always believe your last was the best, but I can say a show I did at Alliance Franchise last month was off the hook. Do you have a manager or you run your things personally? I have a manager and my girlfriend is my manager. How is it working with her as your manager? I have always had a manager, but my former wasn’t that active she couldn’t push shows but expected to be paid. My girlfriend has always pushed shows on my behalf without me even asking. She has my interest at heart even if the show flops she understands passionate about my career. It works well. Stay grounded stop having ego and complaining too much when you are starting to build your empire you will see how it will work for you. Thank you your highness for a having a chat with us. THURSDAY 19 JUNE is a special day for #ZimComedy as we celebrate the 3rd anniversary of Simuka Comedy,the official Zimbabwean Standup Comedy Night,a platform that has exposed and given rise to many of the ZimComedians you know today. As part of the anniversary celebrations we will be having a #SimukaWorkshop,if you are an aspiring comedian please app your full name to +263 779 822 504 and Simba will get back to you. Its a killer workshop that will turn you into a standup comedian OVERNiGHT!